Here's the rules. You try and compose a clever and witty caption for the week's selected image. At the end of the week (Friday late morning) whoever holds the baton picks the winner. The author of the winning caption gets to select a new image and will act as judge the following week. I'm so sorry. Mr Dodding isn't available today. Did you know Marathon Man is my favourite movie of all time? Well - if Paul Ross can do it on live tv - roll on your side and bring your knees up! 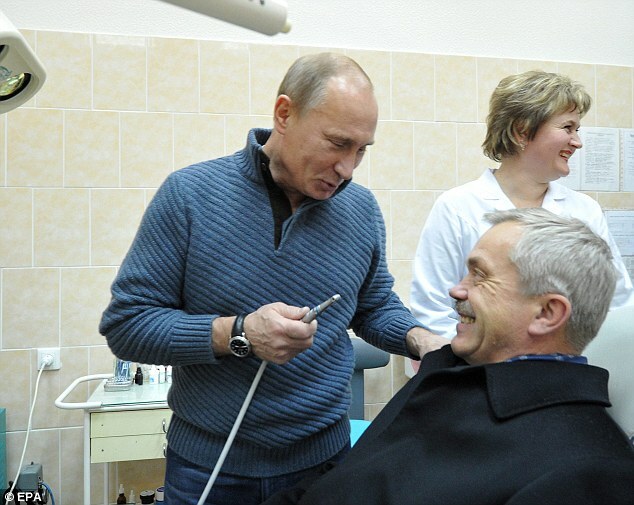 Clean your teeth with Putin-B - now with added Polonium 210. Your teeth will be so bright they'll glow in the dark! ..so I told him, you pay up - we reconnect the gas...simples. "..so I told him, you pay up - we reconnect the gas...simples." Last edited by Sequin on Fri Nov 18, 2011 10:54 pm, edited 1 time in total. That's one in the eye for Nelson!